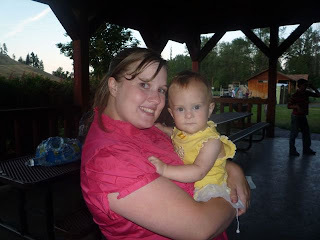 I'm surprised how long its been since I've updated this blog. Wow! Years! But I've decided that its time to update, a little at least. We have had a lot go on in the last few years. We decided to move to Kalispell for me to go to culinary school. This was the fall of 2013, so we up and moved. It was super quick and although everything was figured out for my school, I didn't figure a lot out when it comes to my kids, especially Ellina, she has been doing very well and at that point we were taking a break from therapies, which for her is very normal, she does great for awhile, we take a break and she starts to fall behind and needs the therapy again. Every time we stop, we hope that this time she won't need it again but in most cases she does. So, we got Ellina and Eliza enrolled in Head Start, Gareth in 1st grade, and found a small 2 bedroom house to rent in a decent school district. For Ellina, in head start, they almost immediately put her in speech therapy. I asked for a PT and OT evaluation, and was told that they would get right on that. One of Ellina's first challenges with our move was the noise, it is quite a bit louder in a town with an airport and she wasn't handling it well, any loud noise would result in screaming and terror on her face, which really was sad. 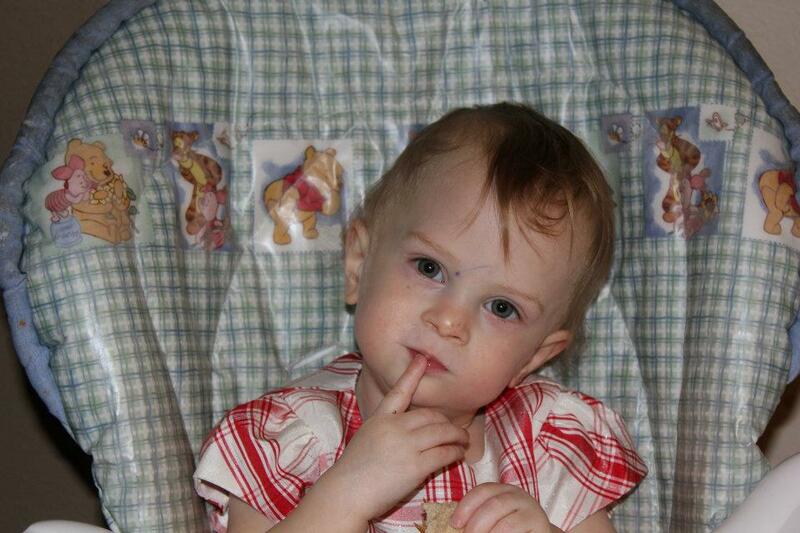 I was told by her speech therapist to explain to her that it wasn't scary and that she would be fine. But I quickly discovered that I was invalidating her fears and it didn't feel right. So I learned to just hold her, help her to cover her ears and explain her her that I was there for her. Thankfully, after a decent amount of time, the noises didn't phase her anymore. I started to notice that she was starting to favor her leg, and normally her PT would notice long before I did, so with a little bit of pushing, I got a PT evaluation done at head start, I got the results and it said "Ellina is small for her age but is just fine" in about ten paragraphs, no mention of her leg whatsoever! I was pretty upset, and with my insanely busy school schedule it took a bit before I was able to find a second pediatric PT. Turns out that Libby (the tiny town where we moved from) has some amazing therapists. Kalispell is much bigger and there just aren't very many therapists for the population, when I called the places that did have therapists they would have long waiting lists. I finally found a PT that did home based therapy and she came over and evaluated Ellina. Within a few minutes she had her qualified for therapy so we set that up. We haven't had alot go on in the last few months, just day to day life and business. My oldest, Gareth is in kindergarten, Eliza is in head start but home based. And can you believe it? Ellina will be in head start next year! I cant believe that in June it'll be 3 years since I gave birth to my baby girls. 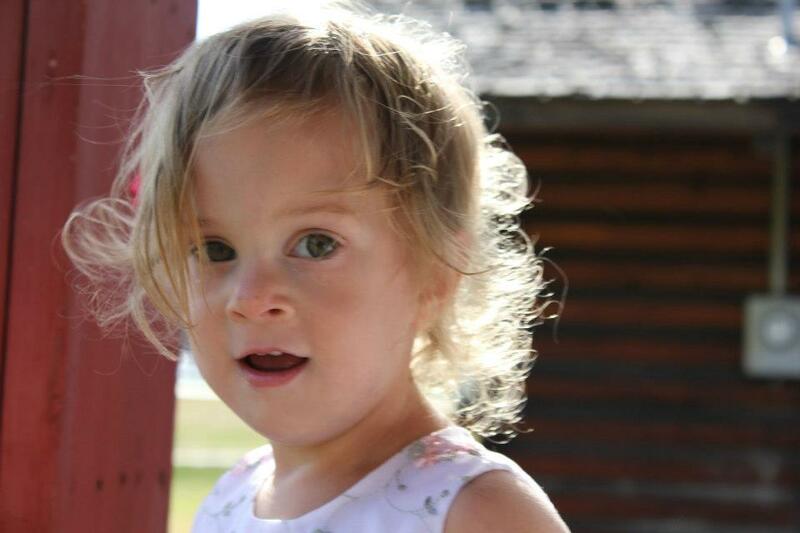 Ellina is doing just exceptional, we have her in speech therapy and still a little physical therapy, although she wont be needing it for long. Because Im a little neortic and crazy when it comes to Ellina and lately I get the feeling I'm a little overboard lol, but I don't know, I love Ellina for who she is, I'm proud of every accomplishment she has made, but I do try and offer her any extra help I can, and I do believe it has made a huge difference in her life, she is doing great with talking, so many sentences! She also has such a personality about her, she worries, which saddens me, I don't like all the responsibility she takes on herself, she asks constantly where someone is if they are not sitting right next to her, almost every day she asks where her brother is when he is in school, and yells with excitement when he gets home. She is also one of the most uptight high maintenance children I have ever been around lol, when we are in crowds depending on her mood she will yell at someone for just looking at her, telling me very clearly that she does not like them looking at her. (they tell me she is cute, I feel bad that she is screaming at them) Her and her older sister fight constantly, I think most times its Eliza that ends up crying cause Ellina is the bully. But my favorite is when she is yelling and mad and Eliza asks her to her hold her hand and within seconds they are running around playing while holding hands, yes they fight but in the end they are bonded sisters. The latest medical thing with Ellina was a bit of a shock, Im still a little confused, but we finally got Ellina over to Shriners Hospital to see someone about her leg, she sees a orthopedic doctor in MT but since that's what the entire hospital specializes in in Spokane, I thought I would get another opinion. So far they have done every test we could think of to try and figure out why her leg isn't growing at the same pace as the other and is still cold most times an obviously just isn't getting the blood flow to it, but at the same time every test has come back normal. 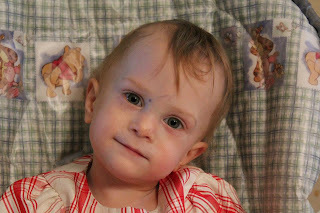 The doctor at Shriners looked over everything and then looked at the MRI Ellina had done when she was a little over a year old, when we had the MRI the neurologist pointed out that the cortex was a little bigger then normal, something that normally happens with prematurity. What I don't remember her saying but is in her notes is that the ventricles around there are enlarged, most likely causing the problems with her leg, what?? I don't remember this being told to me, but it was a long time ago (I blogged about it maybe I should see what I said) But the dr explained that her brain is most likely not sending the right signals to her leg, telling it to get the blood flow it needs to grow at the pace its supposed to. She said this would be a extremely small case of CP. So far her feet are a size and half different and her leg (both bones in her leg) is 1/2 centimeter shorter then the other. We are gonna keep monitoring that difference every year and go from there. I went away from the appointment just fine, until it hit me, then I kinda panicked. Now I kinda feel ugh, but overall this isn't much different then what we already knew it just was alot to be told in one visit. 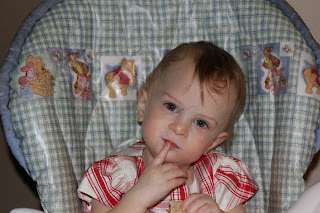 Of course I called the neurologist right away and we have an appointment next month to followup and see if that's really what she believes about Ellinas brain and go from there. So I was looking over my blog and realized I have waited way too long to update. We havent had alot going on lately, Ellina is still doing great, she is walking around eating a ton and talking all the time. for the girls birthday in June we did celebrate all three girls, I think everyone was worried that I was planning a funeral on every birthday but to me it was just all about celebrating all my kids, and their birthdays. 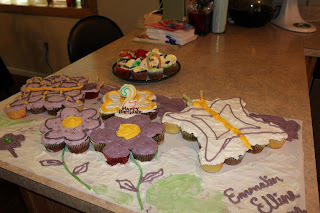 So we made 3 cakes, which were actually cupcake pull apart cakes, I put cupcakes next to each other and frosted them like one cake, I did 2 butterflies and one large flower. it was a great day, I think the only day in June that I was really ok. although all of June I wasn't really a normal functional person, Here's to hoping that next year Ill be better. So Ellina around August all the sudden Ellina started acting liek a 2 yer old, its funny cause when she throws fits we laugh cause we are like finally! I think at this point I would still adjust her age, as way closer to her due date she started being more of a 2 year old. We started up speech therapy again, this time its twice a week, its been a great resource and help for us. Ellina has gotten so much better with her speech plus I don't have to constantly worry about that part, her favorite things to say are, (with attitude) "I don't know!" and "Go away!" she talks constantly and we still dont understand alot of it the difference is now she is actually saying words now not just jabbering. Im so thankful that Im able to have her in therapy for her to have help with this. She eats really well now, lol she eats alot! constantly eating. I weaned her back in July and now with winter and sicknesses coming along Im kinda regretting it. and really considering pumping for her. She has a virus right now with stuffed up sinus' and although shes doing fine I think having breast milk would help her fight it better, but she is also eating very well loves healthy food and her liquid multi vitamin. Ellina is sure a ray of sunshine, she loves to sing and dance and has the cutest smile. I delivered all three of my baby girls on June 18th 2010. After a few scares of Ellina being in distress, because she was so low on fluid and the connections to her sisters was getting hard on her already damaged heart. At one point they didn't find her heartbeat during labor, they didn't want me to hear but I think its pretty obvious when they are quiet and cant find it anywhere. So they had me push her out. I turned and said I cant loose her too! I know that we do what we have to but Ellina saved me from having to do more, she has been my therapy, she has been the most amazing baby, she is very needy and that's just how I need it. She has been through so much and it is obvious to me. I say all this cause it hit me today, it all hit me and I cried, I don't remember the last time I cried. I think I had gotten to that point, I was just all out, and the pain was just so bad that the tears couldn't come anymore. But this morning they came, for only a second but they were there, I cried because I miss my baby girls. I want to hold them I wanted so bad to be able to raise them, and it didn't happen. I don't believe there is a reason for everything, I just believe that God does have to allow bad things to happen, and he uses them to make it good, He will use everything to make us better. cause He can. As June started coming up I became overwhelmed with, mainly fear, fear that I would go deep again, like I did last year, I don't think I can go through that again, I was barely functional, i need to function this year. But I have come to a different place, a place where I realize that my life isnt the same, that my girls are gone and because of that I am a different person. But I am there for alot of people that I never would have had the courage to be there for. Also I have come to realize that my triplets, they are great, there isn't something bad about their birthday because Emmalin and Ellianna are no longer living, its still their birthday and I am so thankful to have had them for the 24 weeks that I did, and Ellina, well she is just the most amazing miracle, to go through everything she has and to still fight to breathe, eat, crawl and stand up and walk. It still makes me tear up, she shows me what fighting really is about. June 18th is the day these amazing girls were born, and I will celebrate them that day and every day, I want to also say that just because I am thinking of all my girls on their birthday does not mean that Ellina is not being celebrated, that she isn't "enough" its not about that, its about the fact that I acknowledge every single one of my children, that they are all very important to me and that they are all loved by me. I can miss my girls all day long but ultimately I am just thankful for them. And thankful for Ellina, that she is such an amazing fighter, I will thank God every day for my miracles, and I will thank Him every day that he let me keep and raise Ellina Joy, that she has been what keeps me joyful. Well I also feel that way about my other 2 surviving children, Eliza and Gareth, I thank god for them all, all five of my incredible children. I'm thankful and happy, no that doesn't mean I don't have a bad day once in awhile, it means that I don't sit around and say its not fair anymore. I have accepted that this happened to me and good is gonna come out of it. I could have gotten pregnant with one baby, they egg didn't have to split 3 ways, I would have delivered that baby and still been timid when I felt that someone needed me because I would think they would be upset because I didn't understand. I have now learned that no matter how same the circumstances, the loss, everyone is different, no one really understands, but there are similarities in every case, and that is where we can connect. I wanted to update on my weekend, the day had finally come to go to the Eat, Hope Run, event for the Fetal hope foundation in Seattle WA. It went great! I drove to Seattle on Saturday and stayed with family that I have over there =-) I got there at about 3pm, which was alot faster then I had expected. SO I had time to buy a few white shirts and write my girls names on them, then I requested all the TTTS parents to post their TTTS babies names so I could write them on the shirt also, the idea being that when someone glanced at the shirt they could see that a lot of babies are effected by TTTS, I put both angels and survivors names on there. It was great to be able to honor every ones babies also. I am also glad I had thought of something because the few people that I wanted to make sure and meet knew who I was even though we had never met before, I was honored to meet some great people, some I have known for quite awhile on facebook. The one downside was that it was very cold outside, Ellina did pretty good in the stroller but Eliza was shivering even wrapped in a blanket and wanted so bad to go play at the park and the bouncy houses but really couldnt. Although I had planned on attempting to do more then walk the 5k I ended up choosing to walk because my husbands aunt Nancy, (who has been there for us through everything, almost every doctors appointment surgery etc) had also chosen to walk in honor of our babies and her daughter Julianne's angel babies lost the same year as mine from TTTS. She has had reoccurring problems with her foot so I chose to walk with her. It was a great walk though! they had us go up this steep hill and at the top said ha ha fooled ya for April fools day! turn around! (or something like that) it was a great workout and I loved that I could bring Ellina with me. Also to honor all of my triplet girls, together. TTTS took two of my girls and has put my Ellina through so much. I think the event was draining for both Ellina and me as we both slept for hours when getting back to the house. it wasn't just a tiring day but also very emotional. I thankfully feel like I have come a long was in grief as I felt no anger when seeing the cute identical twins that seemed like they were everywhere. I know it would have been harder had I seen triplets but I also know I would love to see TTTS triplet survivors. I did have a bit of a hard time seeing the little baby twins but it doest help that the baby fever has hit me again =-) lol that's a different subject, maybe for another post. Thankyou everyone that helped me to make this event possible! I'm excited to say that I am planning a trip to Seattle WA with Ellina to do a 5k run for the Fetal Hope Fountation! I plan on taking Ellina with me and doing the stroller run. Now for an update on Ellina, she seems to be growing up faster and more and more every day, she jabbers like crazy and seems to think we should understand every word =-) so far I have discovered that her jumbled words do mean something but I have to listen carefully and in context, she says, "what that?" 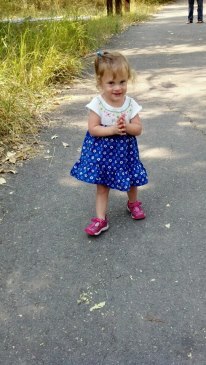 She is still a tiny girl but seem to be catching up to her actual age, she will be 2 on june 18th! 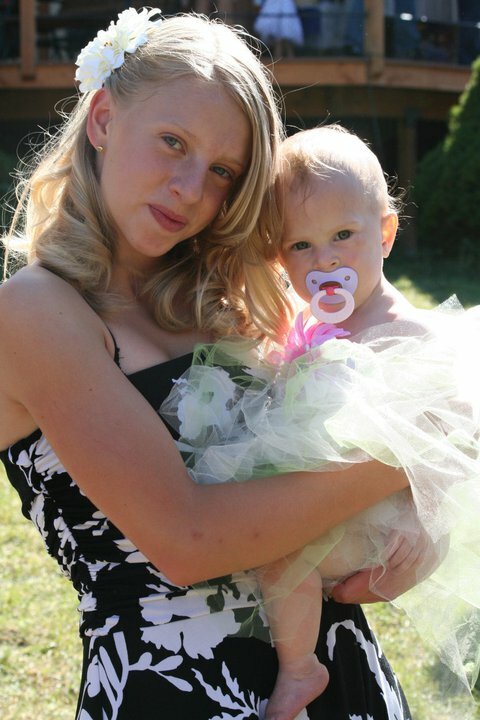 I cant believe its been that long since I delivered her and cuddled with my baby girls Emmalin and Ellianna, miss them. Mama and Daddy miss you girls! We started this blog after receiving the incredible, crazy news that I was expecting identical TRIPLETS and we thought that we should chronicle every step and milestone. The chances of conceiving triplets naturally is 1 in 8100!!! The chances of someone at 23 years old is 1 in 10,000!!! 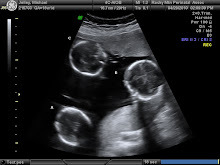 The odds of conceiving IDENTICAL triplets is 1 in 200 million!!! At 18 week I was diagnosed with twin to twin transfusion, so after a long drive to a bigger hospital I had a laser surgery to try and fix it. On June 10, two of our little babies flew to heaven to be with Jesus. 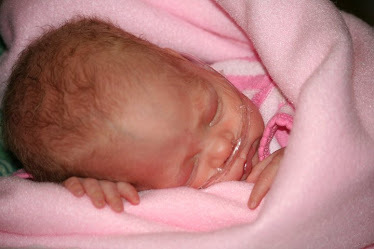 A week later on June 18th, baby Ellina Joy was born 25 weeks, weighing 1 lb 6 oz. This journey has been one of great sorrow and great joy. 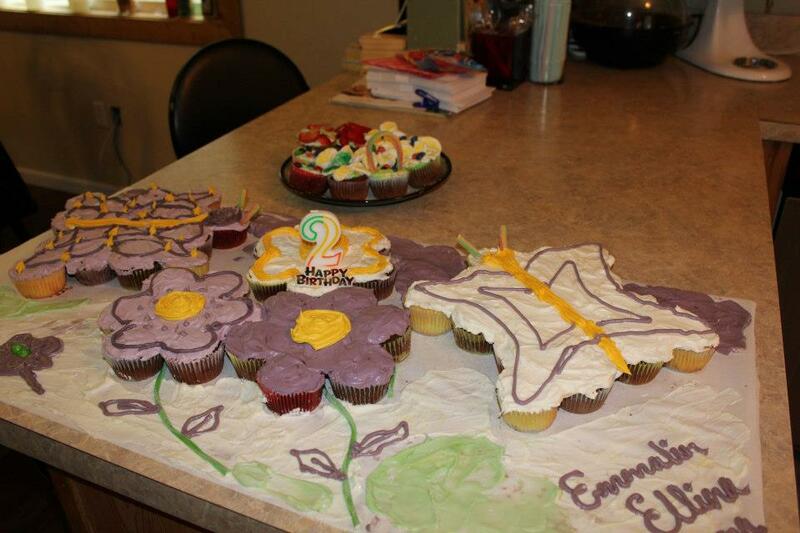 We will forever miss our little angels: Emmalin Mercy and Ellianna Hope.